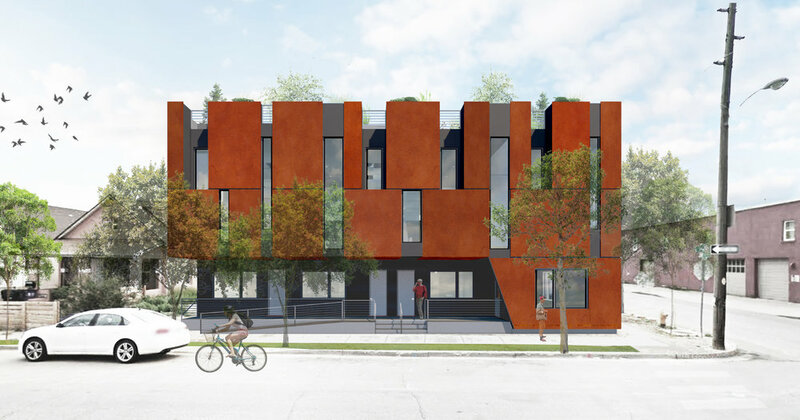 This new infill project is located adjacent to the 38th and Blake St. light rail station at the intersection of the Cole and RINO neighborhoods. The site context for the project is in the most rapidly developing area of Denver. Adjacent projects include: The Hub, Industry RINO Station, World Trade Center RINO, Denver Rock Drill. This mixed use project will feature 8 Live Work spaces for creatives interested in establishing their enterprise in a unique urban context.